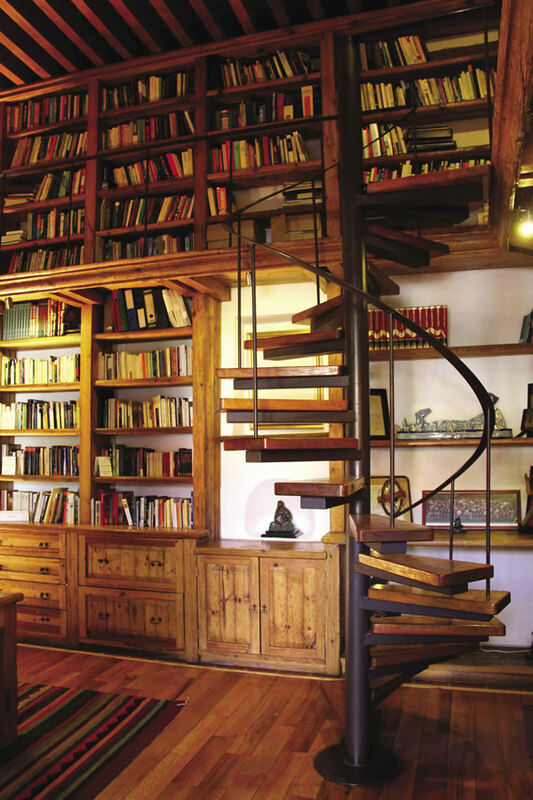 The 3,000-book library at La Quinta Luna in Cholula. Many North Americans have never wandered beyond Mexico’s beautiful coastline. Yes, both coasts of this country offer beaches that are spellbinding, so there’s good reason that travelers stick to those stunning seaside destinations, but Mexico offers so much more than grand ocean breeze-swept getaways. There are ethereal colonial cities sprinkled throughout this multifaceted destination that are not to be missed. Merida, Oaxaca, Queretaro, Puebla, Morelia, San Miguel de Allende, Cuernavaca, even Mexico City, the country’s capital, offer up an extraordinary trove of bygone opulence. And the only way to truly immerse your clients in these colonial cities/towns is to book them a stay in one of the many Old World properties, including 19th century mansions, 17th century palaces, or ice factories from the 1800s, because as Sylvie Laitre, director of Mexico Boutique Hotels (MBH)—whose collection of properties includes some of the country’s most stunning colonial accommodations—says, “staying and sleeping within these walls allows you to feel the grandeur of times past.” And the cities themselves? The 11-room Cantera Diez in Morelia. Merida, which according to Serna is one of the must-visit colonial cities in the country, was founded in 1542 and offers one of the country’s largest historic centers. Most of the buildings here were built in the 17th and 18th centuries, and the cathedral is one of the oldest in the continent. “The gastronomic food is amazing,” says Serna. 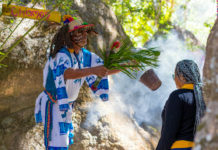 “Food from this region is completely different from anything you’ve tried, full of local flavors and spices.” Clients will also want to sneak away from Merida, if only for a few hours, to visit the Mayan town of Uxmal, located an hour away. Here, a stay at Casa Azul, an 18th century French colonial home—registered as a historic monument for the city of Merida and part of the MBH collection—will put clients right in the center of town. 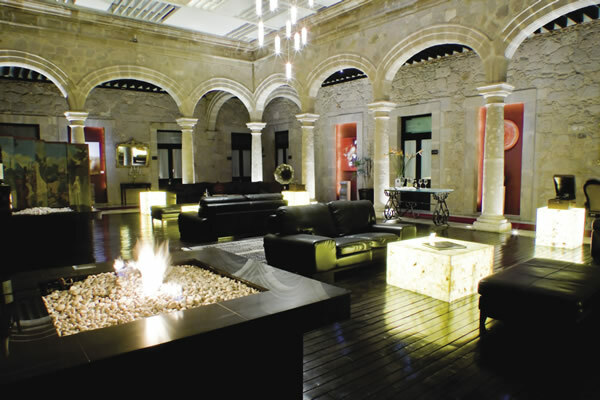 The 8-room property offers uniquely designed accommodations with high ceilings and tastefully overdone, lavish decor, as well as fresh and organic Yucatecan bath products. Rates start at $250. The 17-room Rosas & Xocolate, which occupies two colonial mansions and was honored by Architectural Digest Mexico as the “best architectural restoration” in the country, embraces the local culture with subtle touches such as the use of Mayan techniques for the wall finishes, terraces overlooking one of the city’s most stunning avenues, the Paseo de Montejo, and Xocolatherapy spa treatments, which use locally produced pure cocoa paste. “From the design to the amenities and services, everything is carefully selected to combine the heritage of the destination with the best of modern luxury,” says Goncalo Clemente, the area director for the Americas at Design Hotels, whose collection includes Rosas & Xocolate. Rates start at $235. Mexico City’s colonial past is ever-present, says the minister of tourism for Mexico City, Miguel Torruco, who refers to the “beautifully crafted cathedrals, the intricate building facades and the 18th century Chapultepec Castle that overlooks the city.” In fact, look closely and you’ll noticed that the historical center of the city, beginning at the Zocalo and moving outwards, is home to about 1,500 historical buildings that date back to the colonial era. “For someone who wants to immerse themselves in the country’s colonial past,” adds Torruco, “Mexico City is where it began and the options of attractions are endless.” If you’ve ever been to Mexico City, you can appreciate Torruco’s words. This is, in all honesty, one of my favorite destinations in the world (yes, the world). It’s one of the most culturally enriching, dynamic and enthralling cities your clients will ever visit. 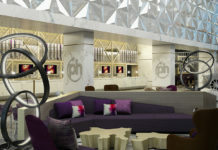 Art galleries and museums are around every corner, the culinary feast is unmatched and the dynamic vibe is enrapturing. And one of our favorite picks for a stay here is the 17-room Downtown, a Grupo Habita hotel and a member of Small Luxury Hotels of the World (SLH). This hotel brand, Grupo Habita, has got to be one of the most innovative and distinctive hotel brands around, and the Downtown property, with rates starting at $165, speaks to this in volumes. In fact, for each of its properties, Grupo Habita uses a local team and integrates the local culture into the concepts. With the redo of Downtown, a former 17th century palace located along a cobblestone street in the city’s historic center, the company expertly combined the palace’s grandeur with a raw industrial edge—the facade is the original palace facade; there’s a stone-forge staircase with intricate handrails sitting alongside red volcanic rock walls; and there are vaulted ceilings as well as handmade clay floor tiles. It houses art galleries, restaurants, an artisan bakery, a chocolaterie, and its suites are styled in a bohemian chic look. 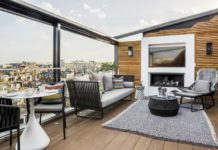 Even the modern-looking rooftop bar and pool draw in the surroundings as “it offers sweeping city vistas and a bird’s-eye view of the other colonial landmarks on the cobbled streets of the UNESCO World Heritage site the hotel sits on,” says Tim Davis, global marketing director for SLH. Located about an hour away from Mexico City, Cuernavaca offers a small town ambiance with grand haciendas and sprawling estates. It’s actually known as the “Beverly Hills of Mexico”—yes, that’s how fabulous it is. Book the 2-night minimum Spa by SLH package for $869.20 that includes a la carte breakfast and a spa treatment (massage) for two guests. Founded in 1531, Puebla, which is yet another UNESCO World Heritage site, is known for its multicolored Talavera pottery and an abundance of churches with Moorish designs. This is a dreamy destination that combines architecture in renaissance, baroque and indigenous styles—truly a quintessential Mexican city that begs to be explored. And its cuisine? Divine; can’t leave without trying mole Poblano and chiles en nogada (Mexico’s national dish). Stemming back to 1884, the La Purificadora, part of Grupo Habita and with rates starting at $120, was once an ice factory where water was bottled and purified for the production of ice—purificadora means “cleanser/purifier.” One of the coolest aspects of the hotel, which neighbors a sculpture garden and is within walking distance from the city’s contemporary art gallery, is, as Carlos Couturier, managing partner for Grupo Habita, says, “that during the extensive refurbishment process, the archaeologists on site unearthed several original pieces from the building including bottles and other pieces of glass that have been used and incorporated into La Purificadora’s overall visual and conceptual design.” The hotel is completely monochromatic—the only colors are black and white with “bishop” purple accents. There’s also art work throughout the property, a wine cellar, a library, 26 rooms, including a Royal bedroom with private terrace and jacuzzi, and a rooftop terrace and pool. It’s really quite a stunning and out-of-the-ordinary space, one your very hip clients will swoon over. Of course, if your clients are looking for a more traditional property, you won’t go wrong booking them at the 8-room Meson Sacristia de la Compañia, where it is said that once you enter the courtyard you are instantly transported to 19th century Mexico. Part of the MBH collection, this property’s features include typical Spanish terraces and heavy wooden doors, as well as traditional Talavera pottery and exquisite gold-leaf detailing around the door frames. 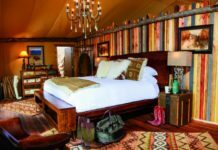 The decor is a combination of beautifully preserved colonial antiques and rustic furniture, and what’s delightful is that the property offers a unique hotel-antique gallery concept, in which its guestrooms are decorated with regional antiques for sale. Rates start at $160. Antiques? Your clients will have to visit and find out the prices for themselves. In neighboring Cholula—which was one of the most important religious and educational centers in ancient Mesoamerica—recommend another MBH knockout, the 7-room La Quinta Luna, with rates starting at $165. It’s a beautiful 17th century mansion that originally belonged to pre-Hispanic indigenous nobility, and your clients will be treated like nobility themselves as they peruse a rare collection of 3,000 books or dine in the hotel’s restaurant, which is set where the original chapel was. In Morelia, which Eligio Serna, the executive director of commercial operation for the Mexico Tourism Board, calls one of the “prettiest colonial cities,” and where clients will find an array of museums, and buildings with baroque and neoclassic architecture, recommend the 11-room Cantera Diez. Part of the Mexico Boutique Hotels collection, this property was built in 1622 and its rooms are an ode to art with pieces by Irma Obregon and Rodrigo Treviño, and some offer views of the city’s cathedral. Rates are $123. And in picturesque Queretaro, which was founded in 1531 and whose UNESCO World Heritage site’s streets are made for exploring by foot, you’ll have your clients in your pocket if you recommend the very intimate 6-suite La Casa del Atrio, a 19th century home that’s been converted into a gallery-hotel. There are delightful curiosities around every corner. Rates start at $115.